Everytime, I try to go to the "+" sign, i.e. add gold, it pops up an address has been cancelled notice. Can't we buy gold with pay-pal or do we only have to use the free gold services? 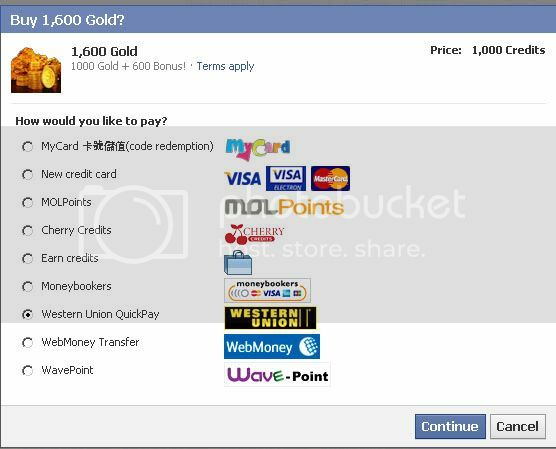 Facebook have problem with their payment system recently, but it's fixed now.